When it was suggested to me if I’d like to go to Monte Bondone Ski Resort Italy for a weekend, I really wasn’t too sure what to expect. I knew very little about it apart from it being in one of Europe’s prettiest regions, Trento Italy. 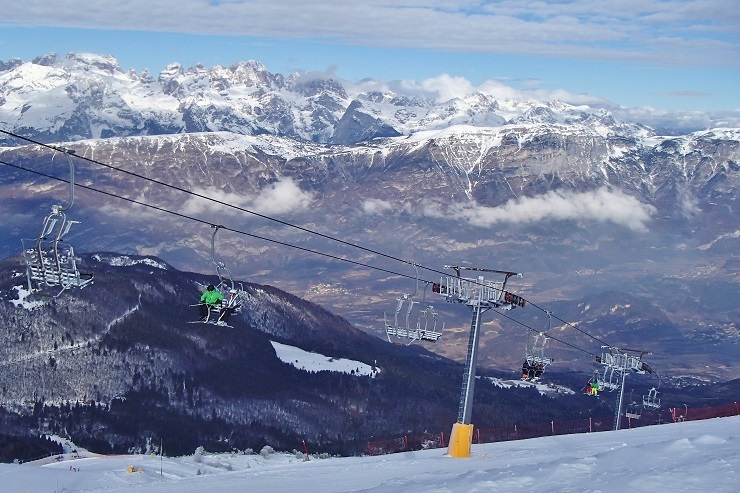 It is not a big scale ski resort but it does have some of the best views of Brenta Dolomites. What I got was a variety of ski slopes spread out across the mountains, so it never felt like a small resort. Also an unspoilt environment, breathtaking views of not only the Brenta Dolomites but also surrounding Italian Alps. Not to mention some great Italian food and a relaxed ski atmosphere that made me feel very welcome. 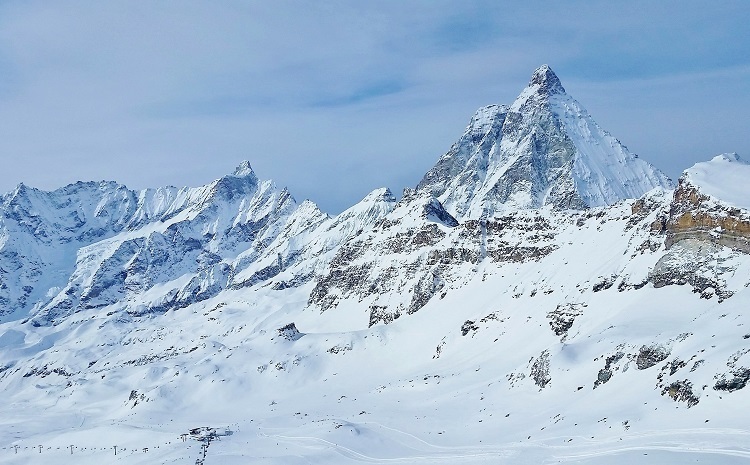 It is a prime destination to ski in the Italian Alps and due to the value for money a popular place for affordable skiing and snowboarding. Monte Bondone Ski Resort is located only 15 km from the Trento Italy City Center and at an elevation of 2,180 metres (7,152 ft), is one of the highest mountains of the Garda Prealps. There are 4 main villages that form Monte Bondone Ski Resort, Vason, Norge, Vaneze and Candriai. With the main village being Vason, where most of the hotels and restaurants are based. I stayed at the lovely quiet village of Norge, which had one of the only ski-in/ski-out hotels. The 170 acres of The Monte Bondone Ski Resort is made up of wide slopes perfect for skiers of all abilities. 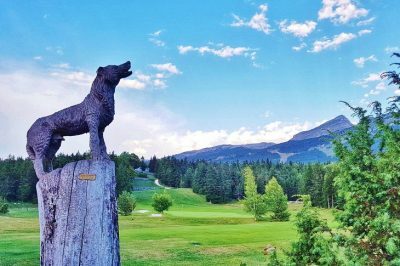 It is definitely a resort coming into its own and apart from skiing, the area also offers a wide range of other outdoor activities. From snowshoeing on the dozens of snow trails to being part of the largest Italian circuit for cross-country SuperNordic that covers thousands of kilometres of ski trails. With the addition of the new chairlift Montesel a few years ago and the opening of the Monte Bondone Snowpark opening for the first time for the 2017-2018 season, Monte Bondone Ski Resort Italy is definitely on the up and one to keep your eye on. Monte Bondone is the ideal location for families, children, ski clubs and ski enthusiast who love wide slopes and lots of fun on the snow of Trentino. 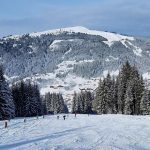 Granted that there are not hundreds of klms of runs in comparison to other resorts, however, it will cost you around a quarter of what you’d pay in the Alps for a week. Also, there is plenty to do other than downhill skiing, like cross-country skiing, sledging or hanging out in the new snowpark. We skied with the lovely Valentina from the tourist office and the ski conditions were a little cold and cloudy. The best bit though was getting up early and being the first one on the slopes while watching the cloud rise from the valley below. The red slopes were just the way I liked them, long wide and steep in some bits. There was a mix of slopes, some were exposed and open which caught the wind sometimes and others went through the forests. One thing though is that no matter where you skied you always had the views of the Brenta Dolomites. Ski passes are really flexible in Monte Bondone Ski Resort and you can get passes from 1 to 5 days. If you don’t want to do a whole day of skiing, then 2,3,4 hour passes are available for the ski resort as well. Check with the lift office as kids under a certain age ski free from 1 to 14 days if accompanied by an adult buying the same type of ski pass (1 paying adult = 1 free child). You must have proof though of their age. 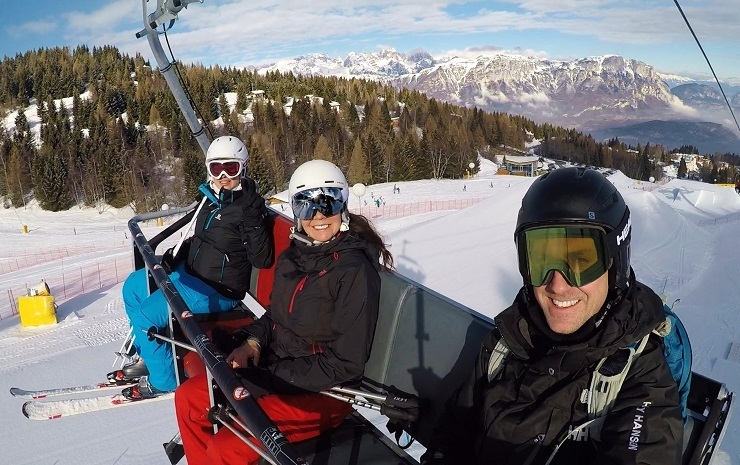 Monte Bondone prides itself on being a family resort and understands that both parents cannot always ski with the children. You can get a ‘6 Days Double’ which allows two different people to use the same pass (not at the same time) to allow for an adult to take care of their children. If you have a season ticket for Monte Bondone Ski Resort you can also get 3 days of skiing in either Paganell or Folgaria Ski area. Take the Rocce- Rosse up to Fortino (1.998m) and ski the red slope to Malga Mezavia (1.184m). It is a 4km red slope with some of the best views overlooking the Dolomites. There are some steep bits but the slope is quite wide in most areas. If you want a bit of fun and you’re keen to try out some new ticks on your skis or snowboard, then head over to the new Snowpark. 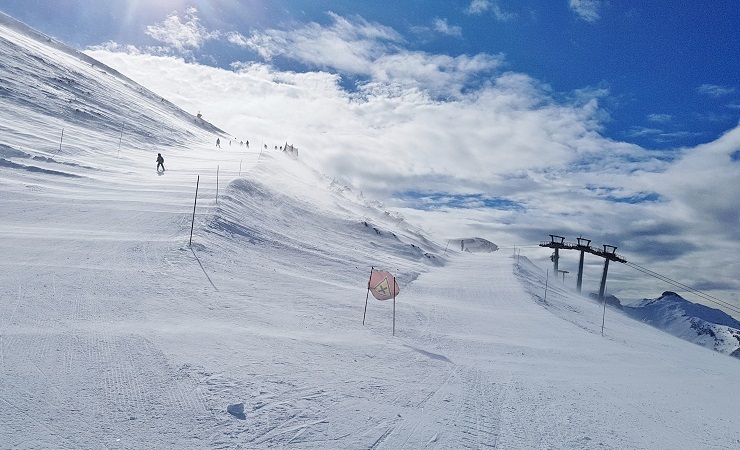 It is situated under the new Montesel chairlift in Monte Bondone Ski Resort and is considered to be one of the best in the Alps will all the different obstacles and areas. Whether you are an experienced ski and snowboard enthusiast or someone wanting to learn, there is something for everyone. The snowpark is even open two nights a week if you want to ski all day and then hang out in the Snowpark in the afternoon. Please make sure that you have a helmet, as it is compulsory to wear one inside the park. As my hotel was half board, a delicious dinner was provided for us during our stay. However, we did stop off at a lovely restaurant on the Rocce Rosse ski slope for a drink and lunch. Chalet Rocce Rosse Mountain Lounge has one of the best views in Monte Bondone Ski Resort and on a clear day, you can see all the way over the Brenta Dolomites Trento. The restaurant serves Italian cuisine with a modern twist on classic dishes, like Spinach gnocchi and pasta. Which can be paired with a great selection of wine, especially the local wine on offer. Don’t worry though if you don’t ski or snowboard because you can reach Chalet Rocce Rosse via the main road, which goes directly underneath the Rocce Rosse chairlift. 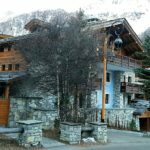 There are 19 hotels in Monte Bondone Ski Resort Italy that range from 2 to 4 stars that spread across the 4 resort areas, Vason, Norge, Vaneze and Candriai. Most of these hotels are based in Vason, the main resort area. All the areas are connected via a public bus during the day, so it is not a problem getting around. We stayed at the Hotel Norge a modern ski-in and ski-out hotel, located in premier position for panoramic views of the Dolomiti del Brenta Mountains. 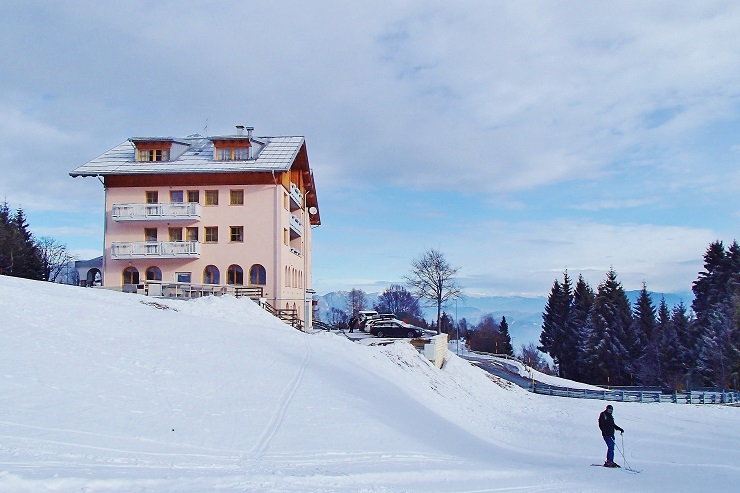 The hotel had a spa centre with a heated indoor swimming pool, a sauna and steam room, as well as a restaurant and bar area with a balcony directly on the slopes. I enjoyed sitting on the balcony in the afternoon with a drink, taking in the views and watching the skiers go by. Our modern room came with an LCD TV, a private bathroom with shower, hairdryer and two large windows that had mountain views. The room also had Free WiFi that worked well in the room, as well as the public areas. I loved nothing more than stepping out of the hotel in the morning, clicking into my skis before the clouds had even lifted in the distance and no one about on the ski slope. Whether you are skiing and boarding or enjoying a summer holiday hiking in the mountains, Hotel Norge is a lovely place to stay. City tax is not included in the offers and will need to be paid locally. You can do this when you check-out. For booking more than 3 nights a Trentino Guest Card will be included. 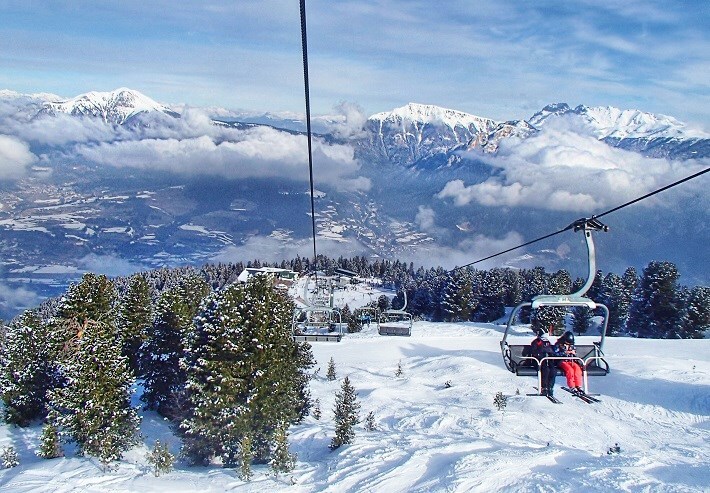 The closest international airports to Monte Bondone Ski Resort are Vernona Villafranca Airport (Also known as Valerio Catullo Airport), Bolzano and Bergamo Italy . However, Verona International Airport would be your best option as flights are more frequent and more airline carriers available. Check with the airline that you are travelling with because some of them allow you to check your skis on the plane for free. I only went for a weekend to Monte Bondone, so I just took my ski boots as my carry on. Due to the size of the ski resort and where it is there are not many options in regards to transfer companies, so the best way to get there is to hire a car. It is roughly an hour and 15mins drive from Verona and it is mostly highway. ‘Guest Card’ is given for free with a stay of minimum 2 nights, which enables you to discounts, free public transport, castles, museums and archaeological sites. Monte Bondone Ski Resort is known for Telemark skiing and Cross Country Skiing, so if you are fan definitely check it out. If you want a break from skiing, then take a trip to Trento, which is only a 20minutes car ride away. Beware when booking a hotel, as the resort is divided into 4 separate villages which are spread out up the mountain. Just to make you aware most of the hotels are dog-friendly, at one point we had a couple of dogs in our hotel bar. 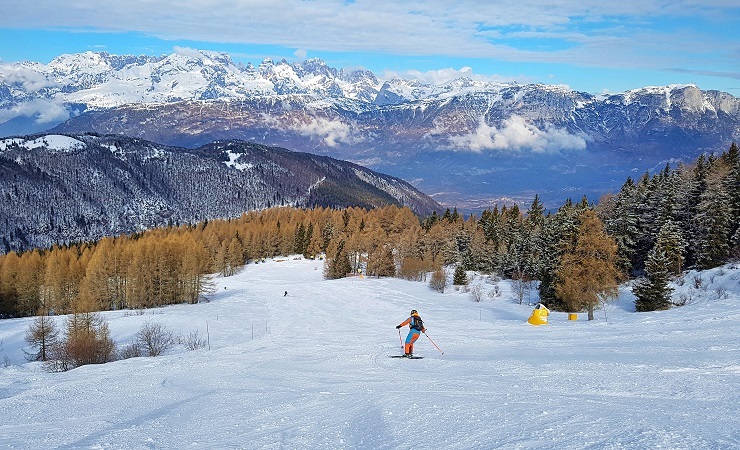 If you are wanting convenience and affordability, especially for a family in one of the worlds prettiest regions, Trento Italy, then Monte Bondone Ski Resort is definitely for you. It’s nature and wonderful slopes will keep you and your family entertained for days. I personally would not go for a week, but that is because as a confident skier (I don’t have a family) and I tend to ski a lot of kilometres of runs. 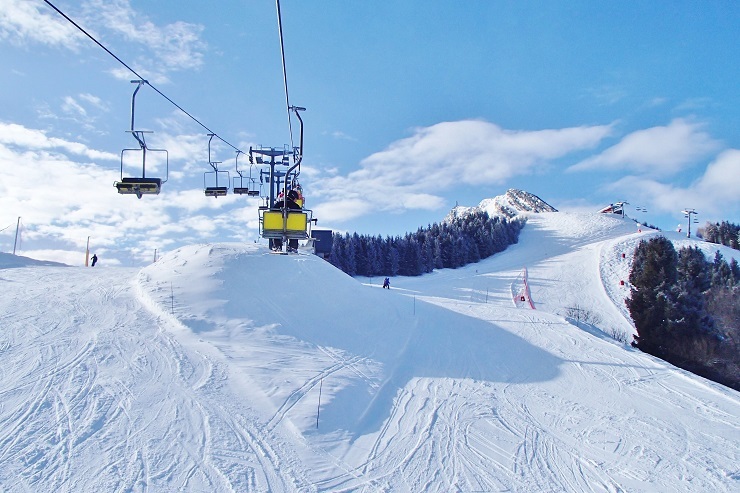 However, I would definitely go to Monte Bondone Ski Resort for a long weekend, it is affordable, has a great variety of ski slopes, it just over an hour from the airport. Not to mention some of the best views of the Brenta Dolomites, Italy. 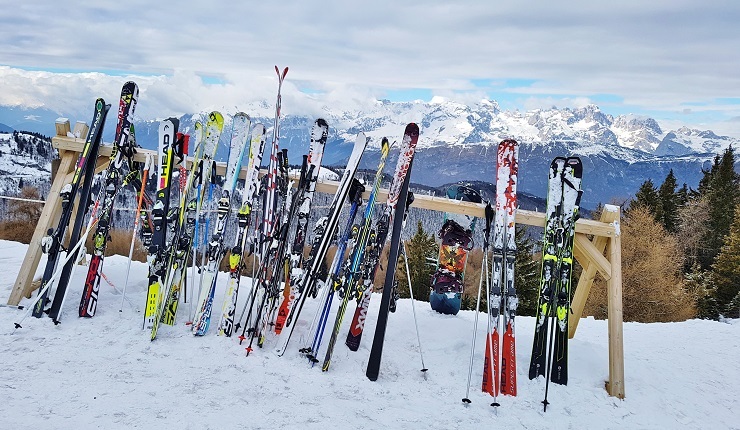 Thank you for reading this article ‘A weekend Ski Trip to Monte Bondone Ski Resort Italy’, I hope it helped you to decide where to go for your next weekend Ski trip. Monte Bondone Ski Resort is definitely a great little gem of a ski resort in the Dolomites. 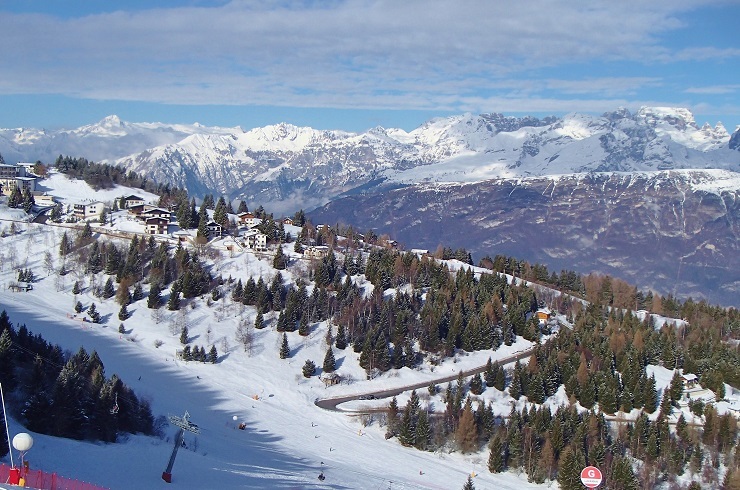 Have you been to Monte Bondone Ski Resort Italy before? I would love to hear your experiences in the comments below. Disclaimer: Even though I was guest with the Trentino Tourism and Monte Bondone Ski Resort All views are my own and based on my own experience. The views are amazing and nice to hear that the lifts are new. The food looks delicious too! 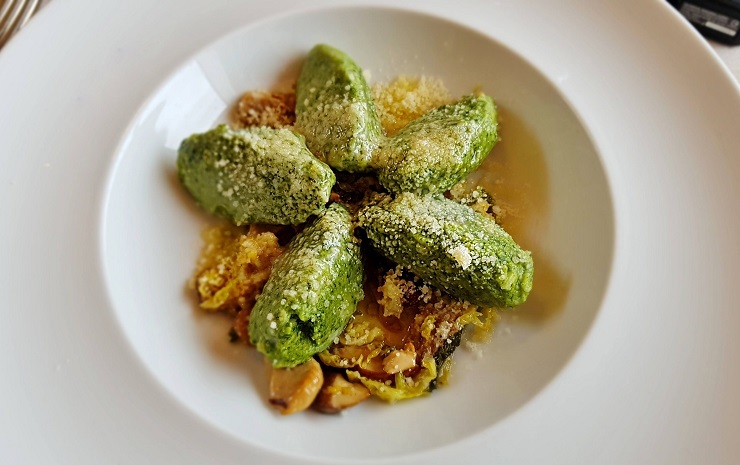 That Spinach gnocchi Chalet Rocce Rosse looks so yummy! There is a huge glass wall at the Chalet Rocce Rosse that takes in that view all year round. Wow I just was in Colorado and a one day ski pass was $120!! & I feel this is just as beautiful! But I guess flying from the US would outweigh the cost of the ski pass haha. This brings back some great memories of my time in the Dolomiti! I’m a complete beginner when it comes to skiing, so this park could be a good start for me. I love Italian food, and your spinach gnocchi and apple strudel look so good! 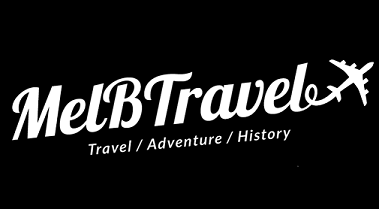 I’ll probably be returning to Trento this year, so may just need to check this place out. The Dolomite are definitely a pretty site for sure. I do hope that you get back to Trento next year and explore more. Gotta say, the Dolomites look a lot more impressive when covered with snow! Maybe next time we should go in winter. This is a great affordable ski resort to go to and with the Dolomites, you won’t be able to take your eyes off them. Looks like a really fun resort. The food looks fantastic, the views looks amazing and from what you’ve said it seems to be reasonably affordable. 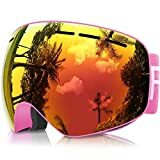 I’m hoping to go skiing next year for the first time, would you recommend this place for beginners? I have a weakness for Italian food it is just so very yummy and skiing. So I was right in my element in this resort. 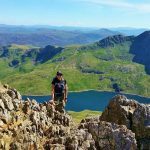 Definitely drop me a line when you are thinking about going, as I have lots of suggestions for beginners resorts. I live at the base of some of the most skied mountains in the US, and I must say that I never tire of beautiful, snow-capped mountains. The Hotel Norge looks like it would be in the best spot to do some serious skier-watching from the balconies, like you took advantage of. I’ve never heard of a resort offering a pass for families doing like a switch-out with the kids. So cool! 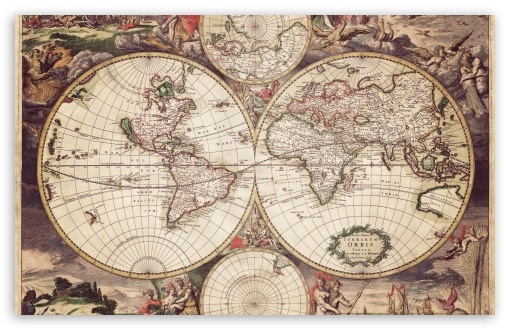 Where are you based in the US? I ski all the time too and I have to admit that I never get sick of seeing snow-capped mountains as well. As strange as it may sound they always look so different from each other. The Dolomites were definitely a bucketlist item. 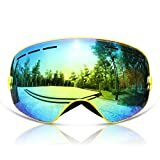 You certainly sound like an avid skier. I’m not but my hubby is. But I am a photographer and I love your photos with little patches of color against the white and black background! This is a great place for both skiers and non-skiers, as it is so small. You could go for a wander while he skis and then he come meet you for a glass of wine. One of the regrets of my life is not having the opportunity to learn how to Ski, being resident in a tropical region. It is something that I do intend to rectify sooner than later. I never realised that Italy had such beautiful ski resorts. 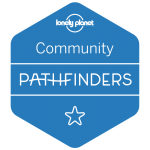 Any one visiting will find your recommendations and tips very useful. This seems like a great place to go skiing for a weekend. I like that it is affordable and the views are amazing. I’m not a great skier, but I do enjoy skiing, so it’s good to know that it’s an appropriate place for people who want to learn how to ski better. The spinach gnocchi looks tasty too. Those views are absolutely stunning! I’d love to visit Trenton for those spectacular shots. It’s a shame that I can’t ski, nor do I have the desire to do so, but I’d certainly be content on just spending some time up there, or put on some snowshoes to do some walking through the snow paths. It is only 20mins away from the city of Trento, which is just as beautiful. You could always take a trip up there to explore. I’m not sure anyone has ever convinced me to go skiing before, but this may well have done just that. The views look stunning and a glass of that bubbly would cap off the day nicely. 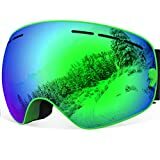 Di you think it would be any good for a beginner? It would be nice not to spend loads and loads for something that I don’t know if I enjoy! This place is definitely great for a beginner. I always tell people to go for a weekend skiing and take lesson then you can get a feel for it and then decided if you want to try it even more. The view of Brenta Dolomites was stunning! Lovely photographs. And that spinach gnocchi looked delicious. You took some beautiful shots of the Dolomites! Not so much of a winter sports person, but if so, would definitely do it here! Thank you very much in regards to my pictures. You can definitely go here just for the day, it is only 20mins away from the main city. My jaw literally dropped seeing the stunning landscapes around the Monte Bondone Ski Resort Italy. I have just come back from Finland and I can imagine how beautiful it would be there. 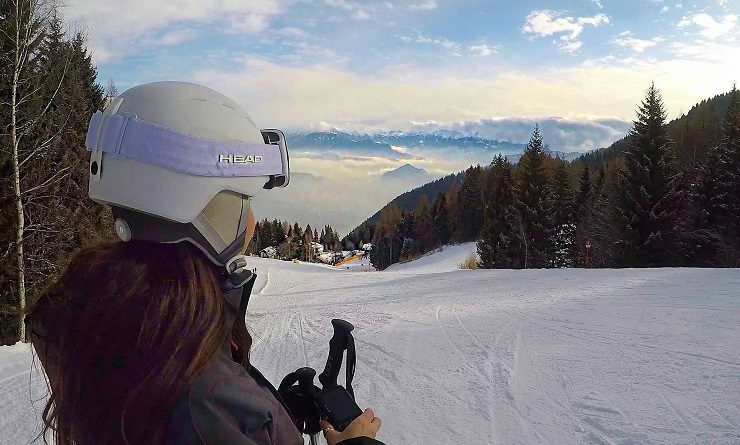 I still don’t know how to skiing , but I would rather sit and admire the amazing snow capped mountains and the amazing scenic beauty. You have given some useful tips. I have been to Finland back I would love to go skiing there. 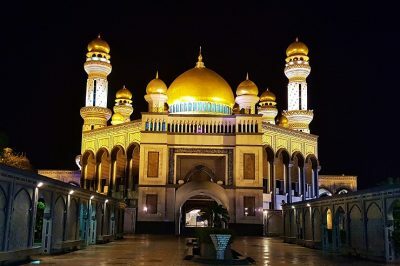 It looks like a stunning place. This is definitely a lovely place. Monte Bondone Ski Resort Italy, looks really spectacular. We have been to the Swiss side of the Matterhorn, but not been on the Italy side. The place looks so beautiful and the facilities for skiing at Monte Bondone Ski Resort Italy also seem top notch. Reading your post tempted to head there in the coming winter. Thanks for such a detailed guide! I’ve definitely never thought to go skiing or snowboarding in Italy but will for sure be adding Monte Bondone to my bucket list. Love the idea of a 6 Days Double pass too. That’s a great deal!